Unique and revolutionary in its approach, dedicated to educating graduates with the confidence and conviction required to lead in the fashion industry. Extensive training with attention to detail and refinement offers our students multiple and diverse job opportunities within the realm of the fashion world. Not only creatively but also intellectually. This distinguished experience is only available to a gifted few who are chosen for their creative flair, passion and talent. 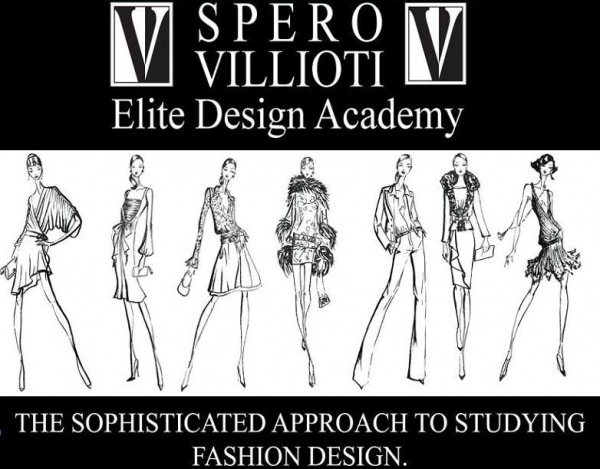 Modelled on Spero Villioti’s personal experience of running a successful fashion brand in South Africa for more than 25 years, the Academy presents a sophisticated and deliberate combination of design flair and entrepreneurial ability that equips our graduates with the expertise to thrive in the fashion industry. Solid, pure principles that forecast success rather than fixate on idle, impractical peripheral content. The teaching and learning approach incorporates valuable project-based, work-integrated learning wherein the students can apply skills that they have learnt within the confines of a successful fashion business.